There’s also a large propensity for Gen-X and millenial generations to have coulrophobia, or a much more mild fear of clowns. 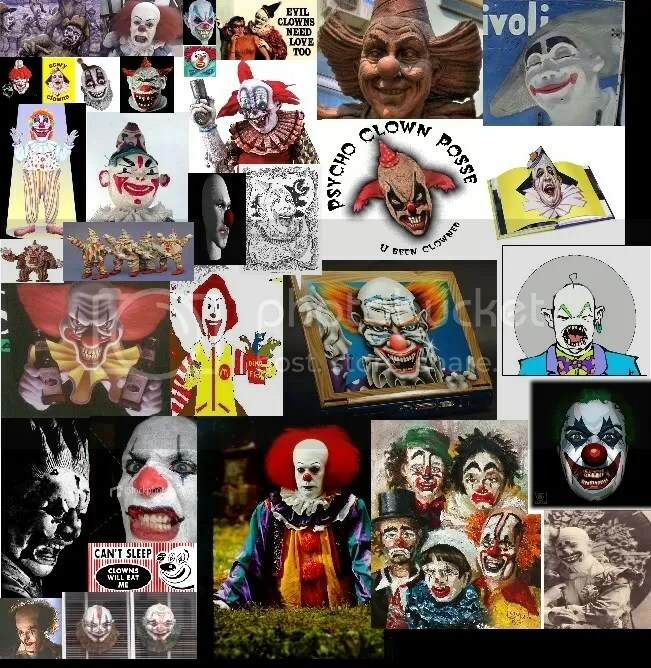 Several of my friends over the years cannot stand clowns, myself included. Weird thing is, I don’t mind pictures, but can’t stand being close to clowns or mimes. I don’t get the symptoms you described, but I get like an anxiety attack and a feeling like some people get in really tight spaces, the need to get away. although i’m not afraid of clowns, persay, i’m terrified of ventriloquist dummies and dolls that open and close their eyes. i’m cool with barbies and cabbage patches, but porcelain dolls, american girls, any doll with the potential to look life like is not allowed in my house, or in my sight for that matter. i believe my fear comes from sneaking and watching the movie “Magic” as a 5 year old. yeah, bad idea! Sounds like you’ve been scarred for life. You just solved a long mistery of mine. I hate clowns but I never really understood why. Everybody always laughed at clowns and I would have liked to have all of them banned. As a kid and still. I actually dislike the circus because my first association with the circus are clowns. I have dreaded having to take my children to a circus and I don’t even have any (yet). They even annoy me on TV. Could it be that I am just plain scared of them? It’s true that I don’t trust them. But on longer thought, I don’t think I’d call it scared. I might just be annoyed with that sense of simple humour. I generally like things simple but humor has to have some intelligence to it. Maybe it’s my caring side, one clown just always was made fun of, and that’s just not fair! It ain’t easy being a clown! Those are some scary clowns. Yup! Damn scary. Thanks for stopping by! Thanks for the evil clown generator. Now I can really freak the kids out. Geez, now my heart is racing, my breath is short, shortness of breath, I’m sweating, I’m nauseous and just feeling overall dread! Really, just the sight of clowns here has got me going. I know I can’t sleep and I don’t ever sleep because those clowns are out there, they’re everywhere. Once I thought I was having a nervous breakdown and was sitting on the curb waiting for the bus to take me to the local psych ward at the hospital when along came a damn parade, replete with clowns. Where I lived, clowns were known to throw candy to … at? … people and it sure didn’t help my mental condition. I think that’s when and how I developed a horrendous fear of clowns. 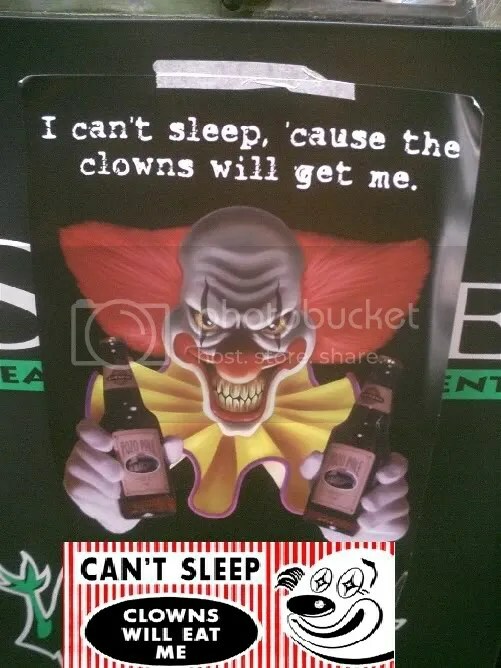 I know the most common cause for fear of clowns. The film ‘It’. That film has haunted me since the moment I found out about it. I was terrified of clowns. Still am today. Actually, last night I had a dream that Pennywise murdered me. I think those films are awful and can ruin peoples lives like it ruined mine. Please listen. I know it must be tough for the people who are clowns for a living. It’s not their fault. It’s the media’s fault. All throughout my life I have been haunted by that clown. Just becuase of a film. It seems stupid and I think it should stop.